An excellent question raised by philosopher Simon Critchley at the journal Anarchist Developments in Cultural Studies‘ conference ‘The Anarchist Turn’. Videos of the presentations at the conference form a special issue of ADCS, which can be viewed here, and include contributions from Judith Butler and Todd May, among others. Thanks to Stuart Elden for the link. 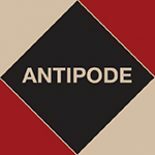 This entry was posted on 28 May 2012 by Antipode Editorial Office in Other and tagged ADCS, anarchism, Anarchist Developments in Cultural Studies, anarchist geographies, Judith Butler, Myrna Margulies Breitbart, Simon Critchley, Simon Springer, The Anarchist Turn, Todd May, Uri Gordon.